Conventional wisdom tells us that large, established companies are a safer and better investment option than smaller companies. These “blue chips” (a term which has its roots in reference to high-value blue poker chips) are the perceived stalwarts of the market, while smaller companies are widely regarded as being riskier investments. And while there may be an element of truth to this, taken in the extreme it could be a dangerous approach on which to build a portfolio. In the South African context, companies which make up the JSE Top 40 Index are viewed as blue chip. They belong in this echelon of companies because of their sheer size, as measured by their market capitalisation (a product of their earnings growth and, ultimately, their return to investors over many years or even decades). This would suggest that not only are they great businesses, but these blue chips have also proved to be great stock picks in the past. In turn, this encourages the view that these companies will remain solid investments because they are “too big to fail”. From this, it is a short leap to simply employing an autopilot approach of blindly investing in larger companies; after all this must be the path to achieving good investment results in the past. History, however, tells a slightly different story. At any moment, market indices comprise companies that are in ascension as well as decline or, to put it more colourfully: rising stars and falling angels. One only has to look at the historical constituents of the JSE, from a super-sector perspective, to get a sense of the evolution of indices and markets. 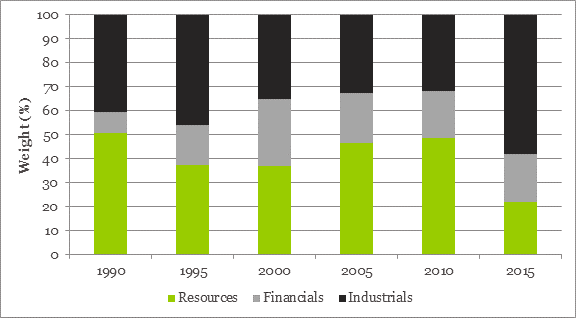 Figure 1 highlights the change in the respective weights of the financial, industrial and resources sectors in the Top 40 Index over the past 25 years. The speed at which the weights can change is evident from the resource weight of 49% in 2010 to only 22% in 2015 and 23% today which highlights the underlying relative performance of the companies within the sector. What may have been perceived as a great investment in 2010, following the commodities super-cycle, would have turned out to be a very poor investment five years later. But, of course, we can see this with the benefit of hindsight. To begin to understand the vagaries which exist within the top counters, consider that among the JSE’s “fallen angels” (companies that have dropped out of the Top 40 Index and are thus no longer considered blue chip) are well-known names like Impala Platinum, ArcelorMittal, African Rainbow Minerals, Exxaro and Lonmin. All of these, at one time or another, were market darlings. Of course the resource sector is beset by its own unique challenges, and other non-resource companies have also made this “fallen angels” list. For example, during the same five years (from 2010 to 2015), African Bank’s share price went from a high of over R40 to zero, wiping out all its investors’ capital in the process. More recently, PPC provides another example of how swiftly a blue chip company can fall from grace. Going back 40 years, it is interesting to compare the names of the blue-chip companies of 1975 to today’s big names. Only five companies (three from the Anglo stable) have maintained their blue chip status: Anglo American, AngloGold, AngloPlats, Remgro and SABMiller (formerly SAB). 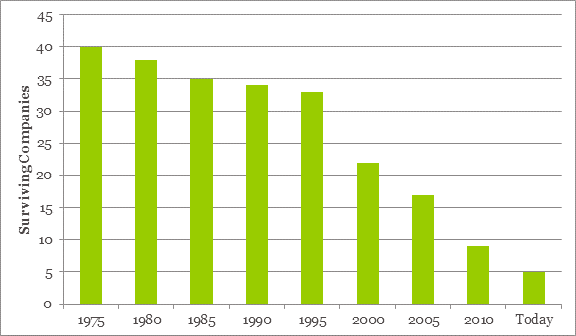 Figure 2 shows the survival rate of the Top 40 Index since 1975. From this, it is evident that, far from being “safe”, if anything, being large is a precursor to becoming relatively small. Along with African Bank, a number of other well known “fallen angels” include Dimension Data, Ellerines, OK Bazaars and several construction and construction-related companies. The reasons for their fall from grace varies from industry effects to overvaluation to management problems and, in some cases, a combination of all three. For example, shares in the construction sector, a much-loved industry following the infrastructure build leading up to the 2010 Soccer World Cup, were pushed into what I would consider very expensive territory as a result of the building frenzy. In the process, a number of these companies entered the Top 40 Index. Alongside this was the decision by the management of a large number of construction companies to collude and form cartels in order to divvy up the workload ahead of the 2010 Soccer World Cup. The subsequent fines and tarnished industry image have had a profound effect on the share prices of all construction companies. Finally, subsequent stagnation in the industry has added to their woes. The net result is that a number of what were once market darlings are now nowhere near the market capitalisations they enjoyed not too long ago. A further example of a fallen angel is a company that today retains one of the most entrenched competitive advantages in South Africa yet has still managed to fall from grace. Following the unbundling of Vodacom in 2009, Telkom had a market cap of R30 billion which was reduced to R6 billion only four years later. A series of management mishaps, boardroom challenges and a weak shareholder base explain the capital loss witnessed at Telkom. On a case-by-case basis, this phenomenon makes for interesting reading, but the most telling piece of evidence that blindly investing in blue-chip companies can result in poor performance is seen when comparing the investment returns of such companies over the past decade. 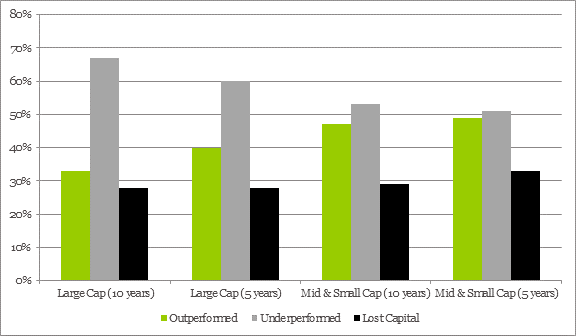 Figure 3 shows the percentage of underperformers and outperformers relative to the market of the large-, mid- and small-caps. Of the 40 companies comprising the Top 40 Index in 2005, only 13 companies have managed to perform better than the market as a whole, on a total return basis, over the preceding 10 years. Even more startling is the fact that 11 companies produced negative real returns, while over the same period the market returned 370%. Thus, 28% of South Africa’s blue-chip companies have shrunk in value, causing a write down in the real wealth of investors. Furthermore, 40% have failed to beat the market. The story is not dissimilar when looking over a shorter five-year period where only 16 companies have been able to outperform the market and, again, 11 companies produced negative real investment returns. How risky are small caps investments? From a small- and mid-cap point of view, although blindly picking companies remains a dangerous approach, the likelihood of selecting winners is substantially enhanced. But the chance of picking a company that destroys capital is also increased. Over the past 10 years, 47% of small- and mid-cap companies have outperformed the market and 29% have produced negative real returns. Over a five-year period, 49% of mid- and small-cap companies have outperformed the market and 33% have produced negative real returns. It is, therefore, among this group of companies that investor’s will uncover rising stars. The evidence above dispels the notion that investing in large companies is a safe investment approach. If anything, investors should have anxious nights if they have invested in large companies based solely on the premise that they are blue chips. The probability of being invested in an underperforming share, or worse, a potential fallen angel, is real when subscribing to the view that large companies are “safe”, “too big to fail” and come with an assurance of good returns. This is not to say that all large companies will become fallen angels – far from it. Many will go on to become tomorrow’s giants – equivalent to the likes of British American Tobacco, Remgro, Richemont and SABMiller. But it does not seem reasonable to conclude that they will continue to produce market-beating returns year after year simply because of their size. Compounding this risk is the fact that there will certainly be a number of casualties along the way that become tomorrow’s fallen angels. Identifying rising stars is an easy task with the benefit of hindsight. While we endeavour to find tomorrow’s rising stars today, we also know that today’s large companies bring a disproportionate risk of being an angel that could fall.